This safari has been custom designed to provide the classic East Africa safari experience – staying under canvas, traversing wide, open plains teeming with animals in amazing quantities, and experiencing vibrant culture. The trip is focused on having the highest quality wildlife viewing, with top guiding and time to view the fascinating behavior of animals. We have designed it to suit a relaxed pace with plenty of time spent in each region. Your safari begins with a visit to the iconic Ngorongoro Crater where game viewing is exceptional with great opportunities to see lion and the endangered black rhino. The centerpiece of your safari is to visit three very different areas in the Serengeti ecosystem, Ndutu, Central Serengeti and Northern Serengeti. Serengeti is likely the most famous wildlife area in the world and rightly so. The migration of over 2 million large grazing animals (wildebeest, zebra and gazelle) and large populations of big cats are present. Beyond the famous animals there is a full diversity of species and guests typically see between 30 and 40 different species of mammals along with a stunning array of birds. From January to March, the wildebeest give birth to their calves, roughly 400,000 of them. This safari is planned to witness the huge quantities of wildlife as well as the fascinating behaviors that occur with so many animals sharing the area. If you want to see Africa’s Big Cats (lion, leopard and cheetah) in action, this safari is for you. Day 1 (Mon, Feb 18) – Arrival to Arusha ~ Upon arrival to Kilimanjaro Airport, we’ll be met for our transfer to the African Tulip, our hotel in Arusha. The African Tulip is an elegant and charming boutique hotel right in the heart of Arusha. A warm and friendly welcome awaits guests who want to experience the best of Tanzanian hospitality. Relax this evening. Day 2 (Tues, Feb 19) – Lake Manyara National Park/ Ngorongoro Conservation Area ~ This morning, we’ll meet our local expert guides that will lead us through the next 10 days on safari. Our first stop after departing Arusha is Lake Manyara National Park (transfer time approx. 1.5 hrs). 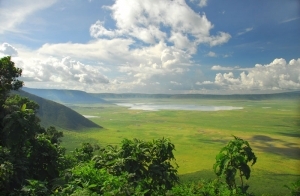 With the lake on its east and Manyara Escarpment to its west, Lake Manyara National Park offers breathtaking views and a large variety of habitats. Acacia woodlands, water forests, baobab-strewn cliffs, algae-streaked hot springs, swamps and the lake itself. Varied habitats are the reason the park is able to support a large number of animal species and incredible bird life. Manyara has the largest concentration of baboons anywhere in the world and the lions here are also renowned for their tree climbing. After a game drive and picnic lunch in the park, we’ll continue to Ngorongoro Sopa Lodge for our overnight stay. Ngorongoro Sopa Lodge is located on the east rim of the Crater so guests have stunning views into the Crater, especially at sunset. Best of all, it’s perched by one of only two access roads into the Crater. This road is only used by 5% of Crater traffic so access is faster and prime viewing easier early in the morning. Ngorongoro Conservation Area – A UNESCO World Heritage Site since 1979 and commonly referred to as the 8th Wonder of the World, Ngorongoro is the largest volcanic caldera on the planet. The rich soils and abundant, year-round water provide an ideal habitat for a variety of large animals. The crater’s walls, 2,000 feet high, create a natural amphitheater for the densest populations of large animals anywhere on the planet. This is the best location in Tanzania to spot the highly endangered black rhino. Elephant, buffalo, zebra, and wildebeest are all common within this confined habitat so up-close viewing is quite possible. Day 3 (Wed, Feb 20) – Ngorongoro Crater/ Ndutu ~ Our day starts with an early morning game drive in the Ngorongoro Crater. After lunch, we’ll continue on to Tanzania’s Ndutu region, an area famed for extraordinary wildlife viewing (transfer time approx. 2 hrs). Ndutu – huge concentrations of the great migration often gather in this area from late December through March during wildebeest calving season when 400,000 wildebeest calves are born. This incredible concentration of potential prey leads to very high densities of predators. The Ndutu region at this time of year is unrivaled for the potential to observe start to finish hunts by big cats. 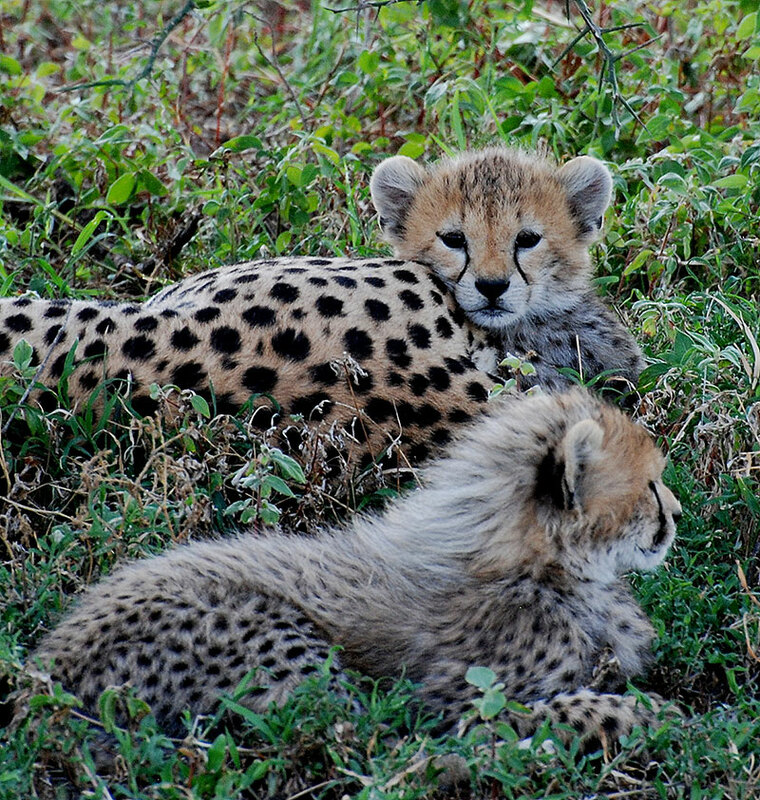 Ndutu is exceptional for cheetah and has proven to be an important nursery area to raise young cubs. Lions and spotted hyena are also very common and frequently observed hunting. A diversity of habitats with expansive plains, great marshes, lakes, and woodlands makes it worthwhile to spend several days exploring the area during game drives. Full day trips can be made to other rich areas such as Gol Kopjes, Central Serengeti, Kusini Plains, Moru Kopjes, and the Kakesio Plains to the south. Njozi Ndutu Camp – local wildlife biologists gain experience as they conduct original big cat research from the camp. This gives camp guests an unparalleled opportunity to observe and learn during their stay. The philosophy of the camp is to provide comfort for guests while the staff works hard behind the scenes to allow full flexibility with meal times and service, including packing meals to go to the bush. This way, guides are able to deliver the superior game viewing experience. Days 4-5 (Thurs, Feb 21 – Fri, Feb 22) – Ndutu ~ These two days provide ample opportunity to explore Ndutu and other game rich wildlife viewing areas. Day 6 (Sat, Feb 23) – Ndutu/ Central Serengeti/ Moru Kopjes ~ Today, we’ll depart Ndutu for Serengeti National Park. Our camp for the next two nights is located in Central Serengeti near the stunning Moru Kopjes. The central Serengeti valley has the most resident wildlife of any area in the park so sightings are stellar all months of the year. The area has a dozen different lion prides and is also the most productive region for leopard sightings. It’s not uncommon to have quality observations of all three of Tanzania’s big cat species in a single day – a Cat Trick. 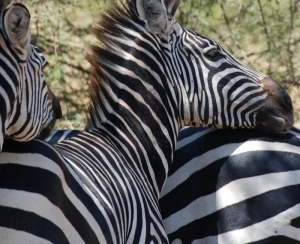 Serengeti National Park – one of the premiere wildlife destinations on the African continent. The park’s ecosystem supports the largest herds of migrating ungulates in the world. Few sights are as breathtaking as that of the rumbling thunder of thousands of hoofed African mammals pounding across the Serengeti plains. Every year, 20,000 zebras and nearly 1 million wildebeest chase the seasonal rains in a 300-mile loop around Tanzania and Kenya. This great migration is one of the most spectacular wildlife spectacles on the planet. 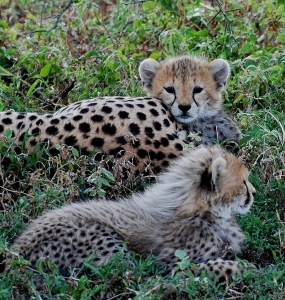 Day 7 (Sun, Feb 24) – Central Serengeti ~ Full day to explore Central Serengeti and Moru Kopjes. The kopjes are one of the most scenic regions of the Serengeti and well located to explore the game-rich central Serengeti while avoiding crowds by tucking away in a remote area out of the main fray. The central Serengeti valley has the most resident wildlife of any area in the park and thus is not dependent on the migration to provide stellar sightings. Day 8 (Mon, Feb 25) – Central Serengeti/ Northern Serengeti ~ Morning departure for Northern Serengeti with game viewing en route. The Mara River is the life sustaining force of the Northern Serengeti, maintaining outstanding resident wildlife populations year round. The permanent waters make this an excellent location for hippo, large crocodiles and herds of elephants. 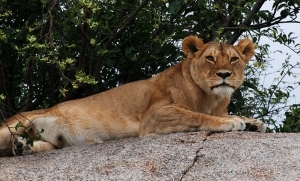 The area maintains large prides of lions. 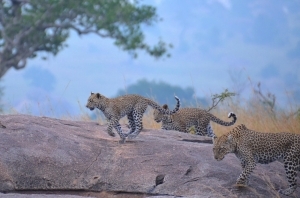 Cheetah thrive in the open plains of the Lamai Wedge and leopards find refuge in rock kopjes. When the migration is gone there is a population of 10,000 topi, big herds of eland and buffalo. We actually love the Northern Serengeti in the non-migration season as January through March it is a great secret, full of wildlife with almost no tourists making it a very exclusive Serengeti experience. The landscape is also completely different than Southern and Central Serengeti. 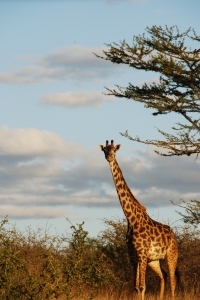 Day 9 (Tues, Feb 26) – Northern Serengeti ~ Full day exploration of Northern Serengeti. Day 10 (Wed, Feb 27) – Departure ~ After a final morning at camp, we’ll transfer to Kogatende Airstrip for our scheduled flight to Kilimanjaro International Airport. Connect to flight home. Price: $7845* per person based on double occupancy. Contact us for single accommodation availability and pricing. Package includes accommodations, airport transfers, full-time private professional local guiding and vehicle with unlimited mileage (window seat guaranteed to enhance game viewing experience), R2R trip host (Sheridan Samano – Co-Founder), meals, drinks at camps (Njozi, Asanja and Sayari), laundry at camps (Njozi, Asanja and Sayari), park fees, and flight from Kogatende to Kilimanjaro Airport. Exclusions: international airfare, passport and visa fees, travel insurance, drinks at Africa Tulip and Ngorongoro Sopa Lodge, excess baggage fees, optional cultural visit with the Maasai ($20/ person payable directly to the community), health preparations, gratuities ($25 per person per day suggested), and items of a personal nature.